This spring is made of tempered SiCr alloy steel wire. Material primary dedicated for machine springs under rhytmic load. Our spring was tested under real airsoft fire and after 10000 shots without lenght or output change. 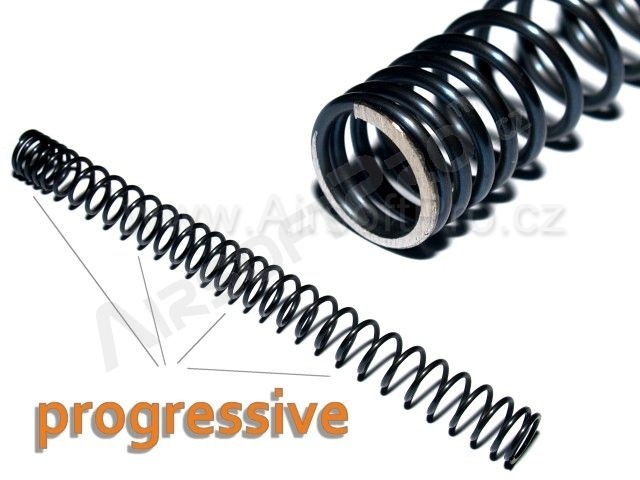 Progressive (nonlinear) winding gives lower resist at the first phase of pressing, but spring keep the same power. Application For all gearboxes.Suitable also for Guarder pistons.